We hosted a wonderfully organised 10 day Holiday Rally for the Swift Owners Club. 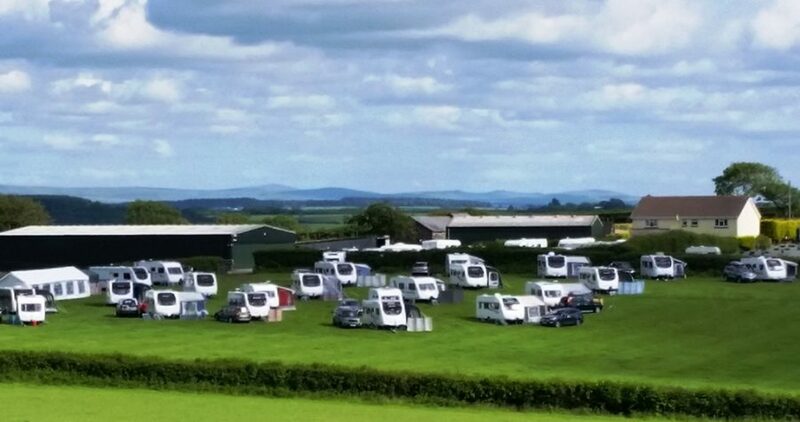 Held in our rally field, 28 caravans attended, there was even a waiting list! The Rally was efficiently marshalled by Elaine & Colin Baker with Maureen and Ron Ward as co-marshals. There were activities such as enjoying a cream tea, a visit to the Eden Project, a Rally meal at a local pub and a ploughman’s supper. As we are centrally located, there was lots of time during the Rally to visit beautiful Devon & Cornwall. For many Ralliers this was their first time to the area and the consensus was ‘we didn’t realise there was so much to do and see’!